Mom is special. Super special. So when Mother’s Day comes round, Ogunquit makes for a special place to celebrate, including the traditional meal: Mother’s Day Brunch. Whether enjoying the morning with Mom or taking the afternoon to say thanks, Mom’s weekend is highlighted by friends and family. Yes, the dining room is a bit on the small side and you’ll have a wait unless you are up with the chickens, but the crème brulee French toast is worth it. Another classic is the Bintliff’s scramble with asiago cheese. Just remember Mom is not cooking this meal and this way, she won’t have to clean up either. Just a 2 minute drive from the hotel, so you’ll quickly get your spot in line. Mom’s everywhere say the same thing: Pick up your clothes. But right after that, they say how much they love spending time with their families. Stop by the Village Food Market to fill a picnic basket with sandwiches, Maine made goodies and maybe a quick stop at Harbor Candy Shop for handmade chocolates, then head to Ogunquit Beach to sit an enjoy the ocean with Mom. Worried about crowds? Check out the Ogunquit Heritage Museum Park or the gardens of the Ogunquit Museum of American Art. And if the weather doesn’t hold, you can always head inside to the Museum gift shop together. Remember when you tried that thing that turned the dog pink? Or that time only referred to as the ‘Macaroni Incident’? Yeah, that’s why a massage is a great idea for Mother’s Day. Even better Your Body Works has treatment rooms at the hotel. Sure you could get the 30 minutes, but remember – she has embarrassing photos of you by the dozens. Throw in the facial for good measure. Well, okay – so maybe not exactly brunch and not on Mother’s Day. But sign up for one of these classes with dear Mom and learn how to make an amazing breakfast or dinner. Then you’ll be better than that other favorite kid. Classes like ‘Let’s Do Brunch’ showcase Apple Brioche French Toast and spicy shrimp cocktail and burnt caramel crepes. Coupled with a discount at the school’s store and you’ll fill yourself spoiling Mom with all sorts of goodies. Oyster bar. Ocean views. Jazz. Take Mother’s Day Brunch up a notch (and don’t forget to make reservations) with ocean side dining Maine smoked bacon, peekytoes crab cakes and Maine lobster with hollandaise sauce. And you can walk the drawbridge and browse the shops of Perkins Cove. Hmmm . . . think your mom would adopt us just for this meal? Still not sure about Mother’s Day in Maine? Add a little extra fun with a walk along Marginal Way to work up – or off – your holiday breakfast. Or take a drive to the top of Mt. A to see the stunning view. Be sure to bring your camera. There really is nothing as wonderful as spending quality time with Mom in Maine for the holiday. 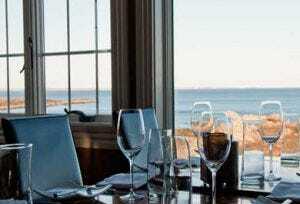 If you’re thinking of visiting our Ogunquit hotel to enjoy a cozy cocktail by the pub fireplace or to head to Maine for the holiday weekend, check out our Mother’s Day Weekend Dining package and Mother’s Day Spa Escapes.